In 2014 the US Fish and Wildlife Service (USFWS) made a powerful statement to protect elephants when it imposed its "trophy" hunting import bans in Zimbabwe and Tanzania for Americans. But now, we regret to report, these elephants may once again be at risk - unless we raise our voices loudly to support them. Earlier this year, Elephants DC met with the USFWS and learned that the Agency will be deciding very soon on whether the United States will lift its bans or extend them. 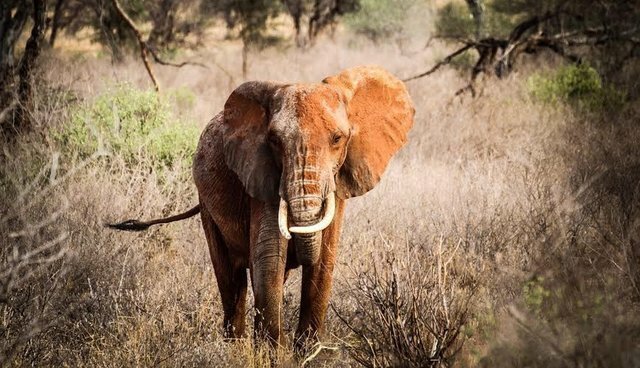 This is a critical decision that will have a direct impact on two of the African nations where elephant populations are most seriously threatened. Given the crisis elephants face worldwide, the impact of this pair of bans is wider reaching than Zimbabwe and Tanzania, as well. We believe the USFWS should stand firmly behind the ban. We believe they should extend it (and even strengthen it). However, hunters of endangered species at Safari Club International and others strongly disagree. They're demanding the import bans of elephant and rhino corpses be lifted. And although they're a small minority, they're a vocal one - well organized, and with deep pockets. 1. The wildlife crisis that prompted the bans is still underway, and the governments of Tanzania and Zimbabwe have failed to stop corruption. The USFWS had clear, powerful reasons for imposing the ban last year. Elephant populations in those nations were plummeting, while government corruption ran wild, doing little if anything to stop the slaughter. In its announcement of the ban, the USFWS rightly condemned the "questionable management practices, a lack of effective law enforcement and weak governance" in these nations. Protecting elephants from illegal poaching requires a strong government commitment to fight illegal poachers and protect its wildlife resources. And Zimbabwe and Tanzania have yet to pull their weight. In fact, they've made things worse. Tanzania has lost half of its elephant population to poaching in the past five years, according to a powerful expose of Tanzanian corruption released by the Environmental Investigation Agency last November. When Chinese officials recently visited Tanzania, they loaded up on illegal ivory products and sent them back home to China in diplomatic bags on the presidential plane. Meanwhile, in recent months, the Government of Zimbabwe has made it clear that protecting its wildlife is lower than low on its priority list. 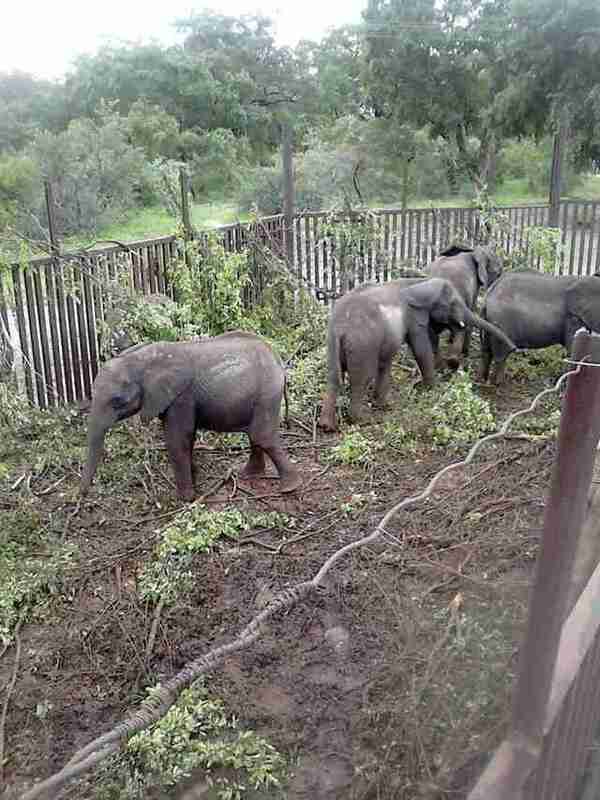 It's been widely reported that Zimbabwe recently kidnapped more than 80 baby elephants from their mothers from Hwange National Park for export to China and other nations. These kidnapped elephants face a future of miserable confinement, a fate worse than death. And despite the outcry of conservationists across the globe, the Government of Zimbabwe has so far maintained that it is proceeding with these cruel plans. As if that weren't appalling enough, the Government of Zimbabwe recently served a baby elephant for dinner at a lavish birthday celebration for its president. In an even more bizarre twist, the baby elephant was reportedly killed and eaten as a punishment to elephants who encroached on farmlands. While human-elephant conflict is a real problem, there are better ways to resolve conflict between intelligent animals rather than serving up sentient beings on a dinner platter. "[Elephants] are highly social animals," explains Professor Andrew Dobson, an ecologist and biologist at Princeton University. "Their abusive treatment accurately matches that handed out to China and Zimbabwe's political prisoners. It causes me to wonder why such Nations are ever invited to attend meetings of international trade and political organizations; they are historical and political anomalies whose people [should] see their leaders and politicians as shallow and greedy manipulators of the truth." The USFWS was right to ban trophy hunting imports from nations with such deplorable wildlife management practices. And until these governments shape up, the bans should remain in place. 2. The currently available data on Zimbabwe elephant populations can't be trusted. Scientists and elephant experts have agreed that worldwide, the elephant population is disappearing at a frightening rate, with nearly 100 elephants killed a day. Poaching could drive elephants to extinction in the wild in as little as 10 years. However, when it comes to breaking down these populations among individual nations, things become trickier. Often, governments and organizations that seek to profit off of killing elephants will try to exaggerate the number of a nation's elephants and downplay any population declines. When we met with USFWS on January 30, we learned that, in addition to the Government of Zimbabwe, only two trophy hunting lobbying groups had submitted data to USFWS on reasons why the ban should be lifted. According to the data from these questionable sources, elephant populations are doing just fine in Zimbabwe, making a ban on trophy hunting unnecessary. But we don't believe this is data that the USFWS can rely on when making important decisions on how to save keystone elephant populations from utter decimation in the wild. The people who travel to Africa to kill endangered species paint a picture of Zimbabwe as a relative paradise for elephants, but that's just what they want us to see. The current picture of elephants in Zimbabwe is likely much more grim. According to our own elephant expert in Zimbabwe, the nation's elephant populations have decreased considerably over the past 12 years, including a 40 percent decrease in the Zambezi Valley and a 75 percent decrease in Sebungwe. 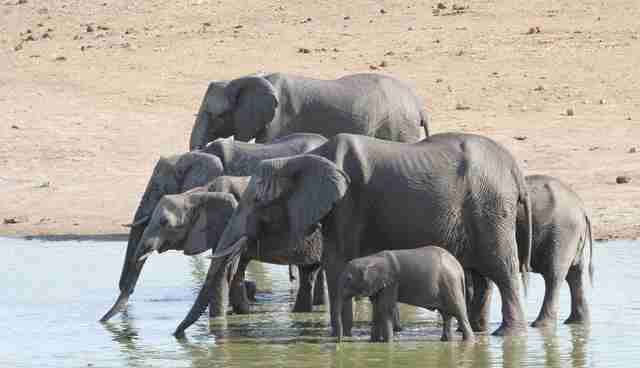 As Bloomberg recently reported, the number of elephants in Zimbabwe is plundering. Instead of numbering over 100,000 as the Government of Zimbabwe claims, it is more likely that the population of elephants is significantly lower. It is incredibly concerning that there is a current lack of accurate, reliable data on the true number of elephants currently in Zimbabwe. And given the rate of poaching overall, it is especially clear that elephant numbers are continuing to decline annually. When facing a population decline of that magnitude, it is vital that the bans on trophy hunting imports stay in place. Those elephants still remaining on our planet need to be protected - not killed. 3. The ban sends a strong message to other nations that may seek to model themselves after Zimbabwe and Tanzania. Considering the negligent and often corrupt wildlife management practices of the Tanzanian and Zimbabwean governments, the last thing elephants need is for more countries to follow in their footsteps. Yet, recently the Zimbabwean President Robert Mugabe was elected chairman of the 54-nation African Union, which could lead other nations to model their wildlife "conservation" tactics after his. That's why the USFWS's ban is so important. The ban doesn't just tell the Government of Zimbabwe that its practices towards elephants are unacceptable. It tells the entire world that the United States will not tolerate any such nefarious corruption. At a time when elephants are so at risk in so many nations, this message needs to ring loud and clear. 4. Elephants are worth far more alive than they are as dead "trophies." As we mentioned above, the trophy hunting lobbyists will tell you that elephants are doing just fine in Zimbabwe and Tanzania, so the government can "spare" a few to be killed on their hunting safaris. But worse, they'll even try to convince you that trophy hunting is good for conservation. People who hunt endangered species argue that killing elephants for trophies actually "helps to save elephants" because of the tourism revenue it brings into the country. This is deeply twisted logic. Killing elephants doesn't save them. The one-time revenue boost from hunting an elephant is nothing compared to the tourist dollars that a living elephant can bring in. A recent study found that a living elephant can bring a nation more than $1.6 million in tourism dollars over its lifetime. And that's not even factoring in the revenue that an elephant's children can bring in over their lifetimes. Killing the elephant cuts all that short. So does selling an elephant calf for export to zoos, as the Government of Zimbabwe is poised to do to the more than 80 kidnapped baby elephants. It's a short-sighted strategy based on greed that prioritizes the desire for immediate cash profit over a long-term investment in the future of its wildlife and its country. Trophy hunting as "conservation" is just a flat-out bad business practice. There are other ways - sustainable ways - to increase tourism revenue and promote wildlife conservation. By maintaining the ban on trophy hunting imports from Zimbabwe and Tanzania, the USFWS can send a strong message that sustainable, long-term solutions are the only acceptable ones. 5. Elephants are intelligent, gentle, emotionally complex creatures -- not trophies! Ultimately, we believe any discussion of trophy hunting is fundamentally flawed because it treats an elephant as a commercial product that can be bought, sold, and murdered for a rich person's entertainment. But an elephant is not a trophy. An elephant is an intelligent, noble being who deserves our protection. A trophy is won by a person who has created stellar music, for instance, or awarded to an athlete for winning a soccer match. Zimbabwe is selling off its baby elephants as if they were a sack of beans, instead of a group of socially complex, sensitive, and smart beings. Elephant calves, who are dependent on their mothers, belong to a highly evolved, compassionate, and family-oriented species. Removing vulnerable and fragile baby elephants with complex needs from the wild is unethical and inhumane. When an elephant is killed by a trophy hunter, or murdered by a poacher, or kidnapped and sold, that elephant's entire family suffers. 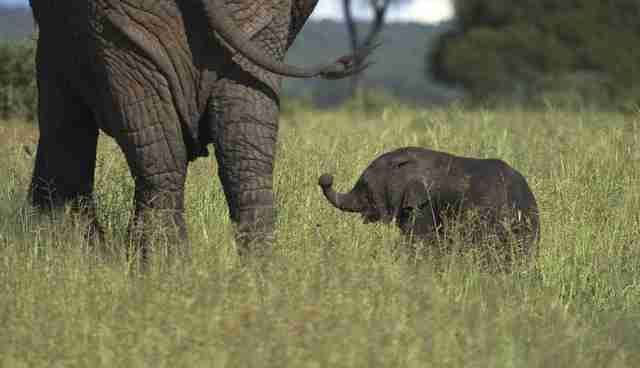 Mother elephants mourn the loss of their babies deeply. Wildlife crime creates a cycle of pain and death that spirals down the path toward extinction - unless we stop it. The USFWS's ban on trophy hunting imports from Zimbabwe and Tanzania therefore is the least our government can do to protect these vulnerable, gentle giants. Lifting the ban would be unconscionable. We need more than rhetoric decrying wildlife crime. We need the US government to have the courage to take action to stop it. Until the situation improves dramatically in Zimbabwe and Tanzania, lifting the bans on importing the corpses of endangered species should not be an option. In fact, we are in favor of much stronger sanctions to protect these elephants. But if the hunting lobbyists are the only ones speaking out about the ban, they might be successful in getting what they want. That's why it's important that all of us who desire a long and healthy future for wild elephants need to speak out and support the USFWS in extending these essential "trophy" import bans from Zimbabwe and Tanzania. Adding your voice is easy. Just send an email to the US Fish and Wildlife Service by writing to dan_ashe@fws.gov and express your support for elephants by calling for the continuation of the "trophy" hunting import ban. You can also reach out to the Service on Facebook and Twitter. Please get your message out before April 1, 2015. We must all raise our voices to support action in the US to stop the slaughter of elephants in Tanzania and Zimbabwe and across Africa. Speak up today!